somehow don't complete the picture. of what is looking like a four part set. 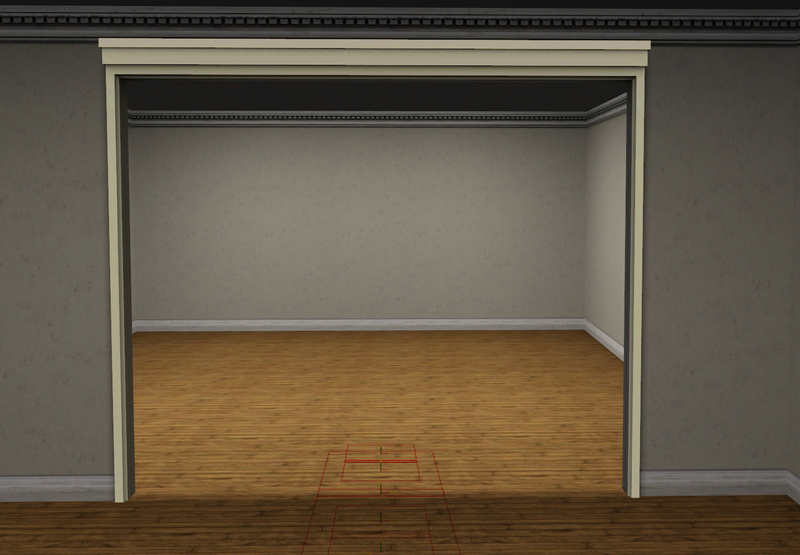 Arches, doors, and open doors. 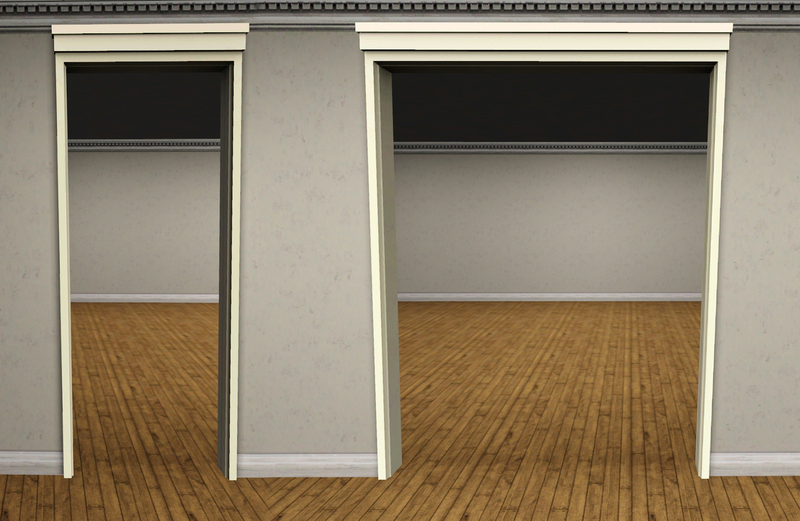 1x, 2x, and 3x plain arches. 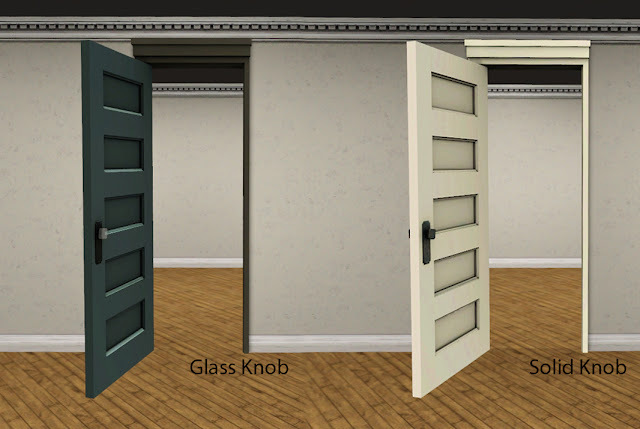 both with glass and solid handles. Combine to add "rock on" and a little bit of "oh baby!" to your game. thanks to Pocci and Heidi. and the shelf does not place as well. see where the game shows it blocking the natural path while placing. with the help of Pocci, Heidi, Jenba, and Sandy. a diagonal path after much configuration. Ladies, you rock the MF house! her invaluable input on many of these items. in its release with more tear stains . . . .
is rather pleasing, if I do say so myself. 10/15/2013 - Hey Sims2 players - Tinkle at BPS has converted part 2! You'll need to register, but I think you'll be happy you did. Hi Bau! first of all I want to say thanks for your lovely windows, doors etc etc.. It's awesome. There's only one little problem. When I check the files with Sims 3 Dashbord almost all of your package files conflict with the 'window 5 package'. Very strange. I don't know yet if this is going to be a problem in game. I just wanted to let you know. Bye! Hi Conny - glad to hear you use Dashboard - more people should! 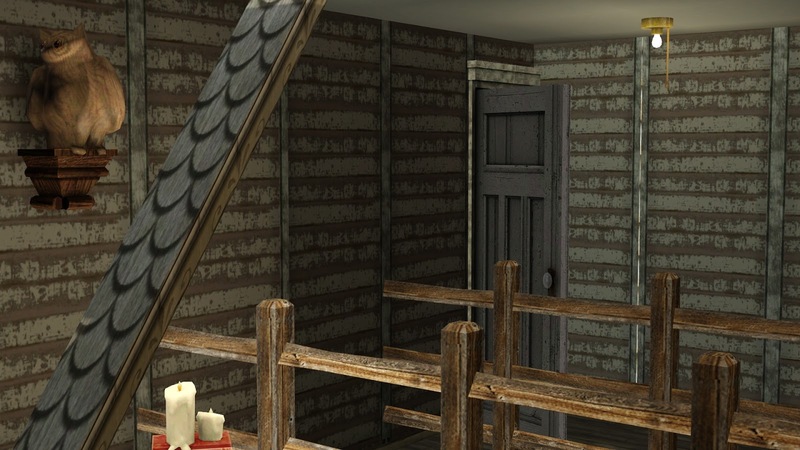 The objects should be fine in your game. When a creators items 'conflict' with each other - there is 99.999% of the time nothing to worry about. 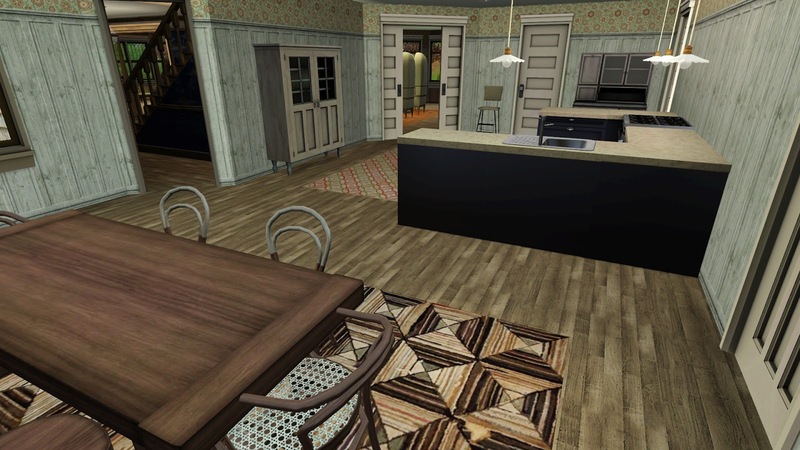 You'll notice that many creators objects conflict within a set or with another of their sets. If my objects somehow conflicted with another persons set - then that might be something to worry about. 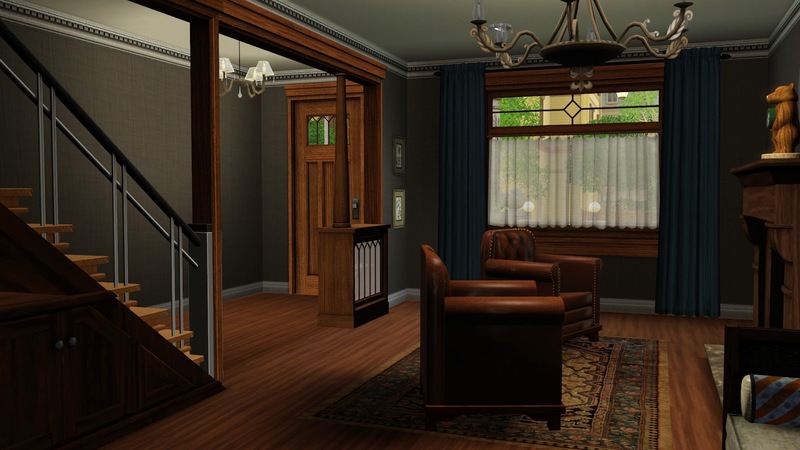 There is a great article over at SimLogical that best explains it here. Specifically, note the comments about Custom Content. I'm going to read it. Thanx for your explanation! Thank you, Eric!!!! I soooooo love your first set, and can see myself overusing this one too. Your first is my go-to set for all things "classy." And this is a wonderful addition. 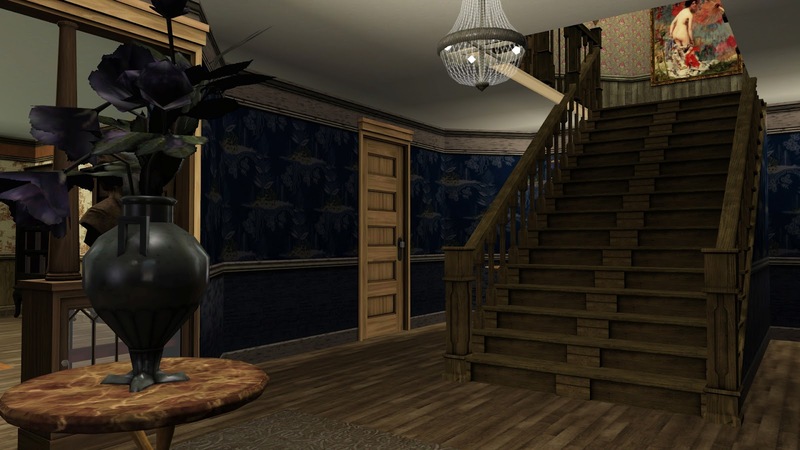 And, even though I've redone the Goth's house a couple of times, I see that I'll have to redo it again. So thanks for all the inspiration. Oh My Geez,to bad I am an atheist....!! This stuff is so awesome it almost makes me want to propose to you!!! 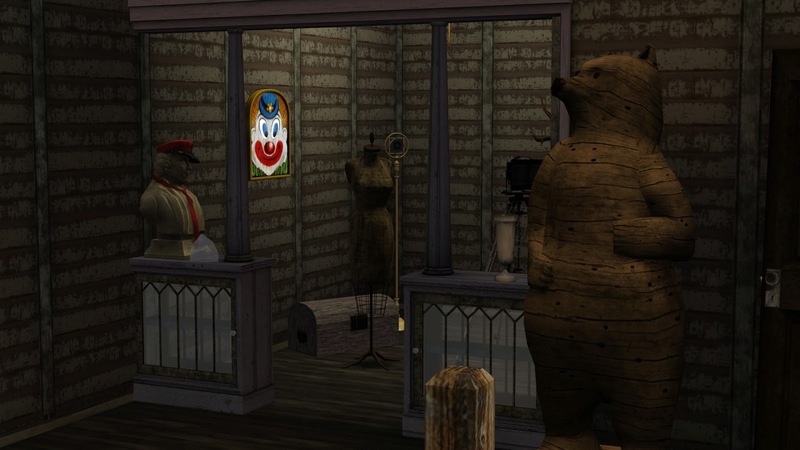 You rock my Sims world! keep up the amazing stuff! Absolutely brilliant as always. 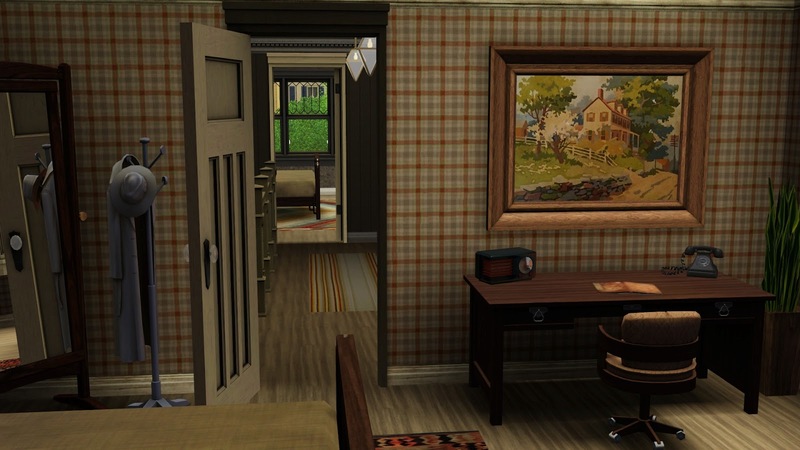 While I mostly use your gorgeous artwork (which I hope you keep making, as they are stunning, especially the "Modern Masters" set - there's a sore lack of modern art in the game), I find this will fit well with the furniture from Awesims, there's something about Craftsman and Mid-century mixed with modern pieces that fuses beautifully together. Anyway, great work! Thanks everyone. I am completely humbled by the kind words and praise I have been given for these build sets. Thank you! Webby - I did it on purpose! Asger Wille-Jørgensen - There is more art in the future - but probably after the Craftsman set as a whole . . . unless I include a little sumtin-sumtin as a go along. Art is forever my weakness! Saw it as soon as I hit 'publish' - doh! Looking great! 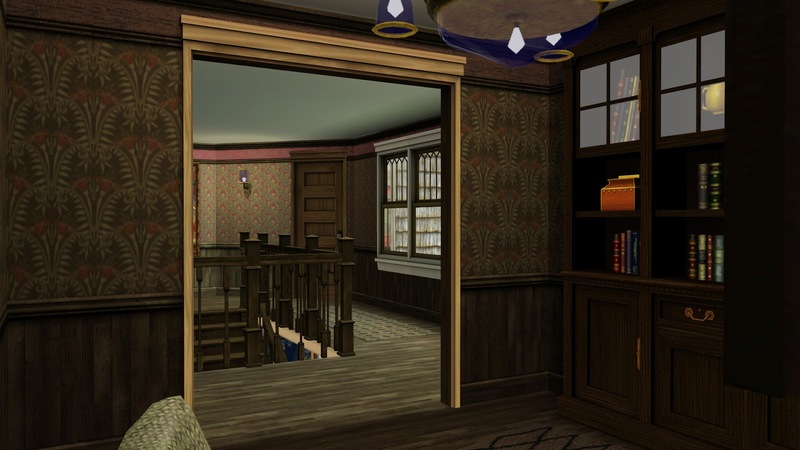 I am going to have to figure out a way to release a build once this set is done. It's the pattern collection that has me stumped. thanks for the link to the chandelier. this set of yours is going to be abused so much in my game. i forgot to comment on how much i love the glass knobs too. reminds me of the door knobs in my great-granny's house when i was a little girl. i really love this set. thanks again. Hi, I am so happy to have found this set. 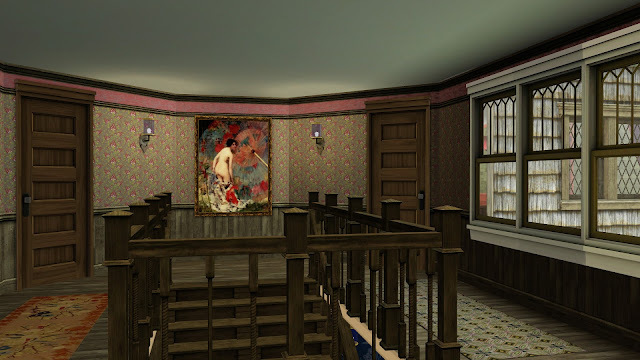 My house is a craftsman house that is almost 100 years old and I have recreated it in the sims. One of the missing features has always been the shelf columns between the dining and living room. Thanks to you and this set I now have them and my in game house is one step closer to my real house. Thank you for sharing your talent with those of us who have none!! D: I thought I had already left feed back but guess I forgot to. Anywhoo I just LOVE this set of windows, arches and doors your creating Bau. Please keep up the good work and I cant wait for the rest of the set! Sooo beautiful. Perfect. Thank you! Come back from the dark side Nikolai! Kidding aside, I hope the rumors are actually true and they are working out how to add CASt to TS4 - it was a massive oversight. 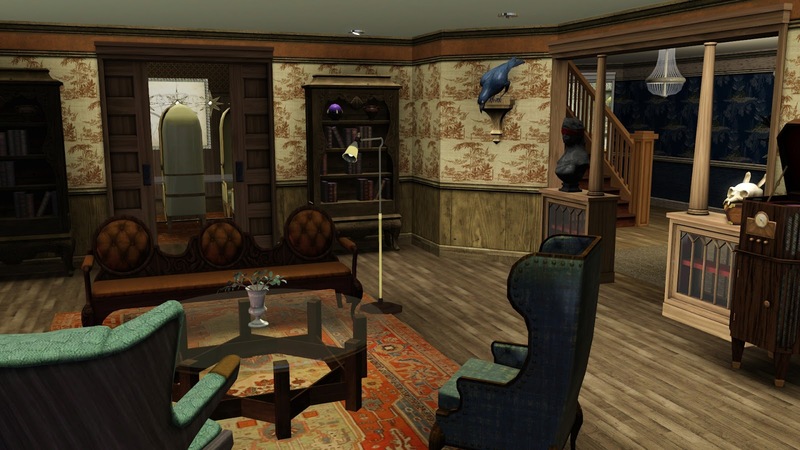 At that point, wallet permitting, I will look into getting TS4. 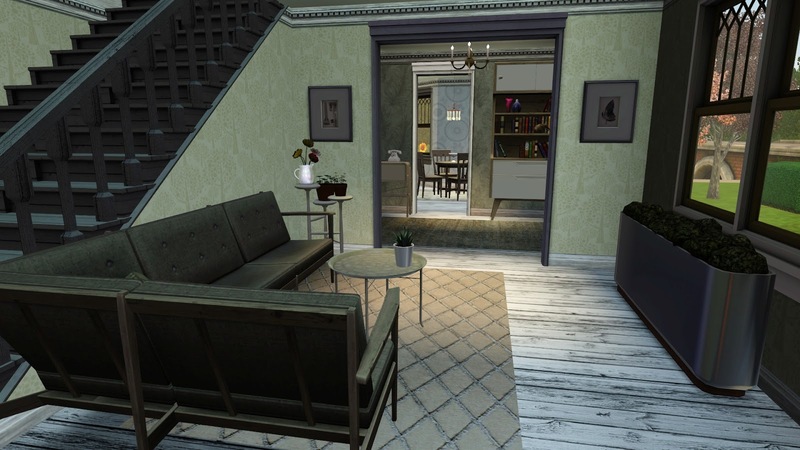 I would prefer to do my own conversions . . . . if I recall correctly, there was about an eight month wait for TS3 objects to start showing up - significantly anyway. I thought EA was releasing tools this time? 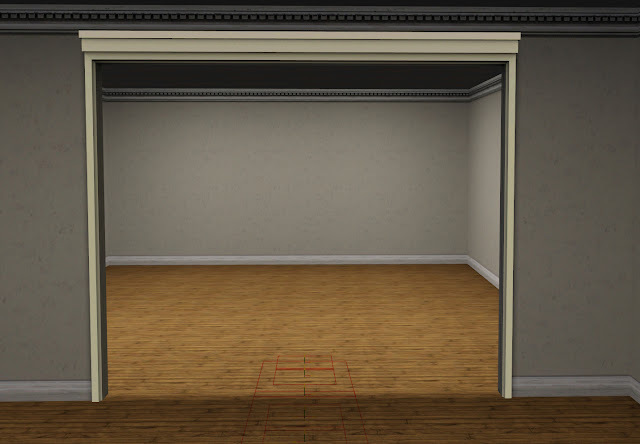 Can you make some DOUBLE DOOR versions of BOTH interior door styles? Hey William - I am not sure that is in the cards. I am working on (slowly) a part 4 when I have time and I can force myself to focus on this set again, but the list of items that are needed is quite large. My 'double door' was actually intended to be the 'pocket door archway' where so many of the homes in this style had pocket doors - the problem is they don't correctly animate - hence the static archway. 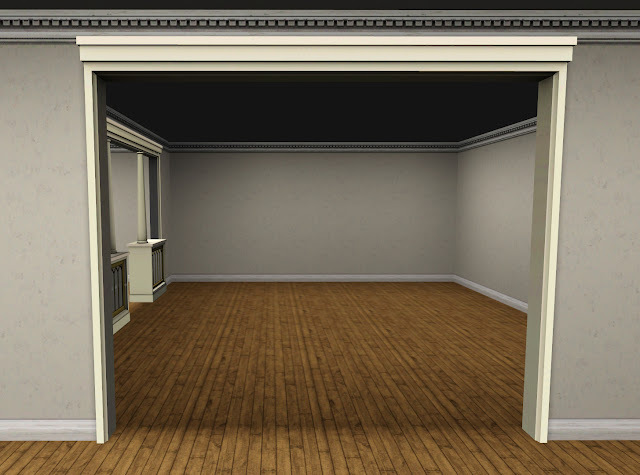 I have not really found photo references of any examples of interior double doors that are not pocket doors, so it has never been planned on. Not saying it won't happen, but currently it's not planned. 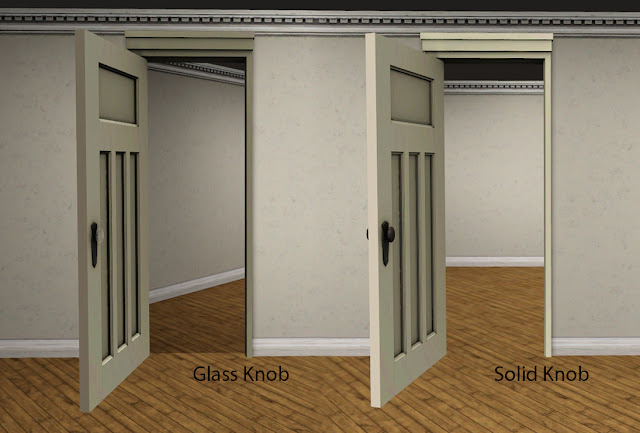 Well, the "DOUBLE DOOR versions of BOTH interior door styles" that I meant was like this: 1) They are to open on hinges like a standard single-width door and the 2 tile exterior doors. 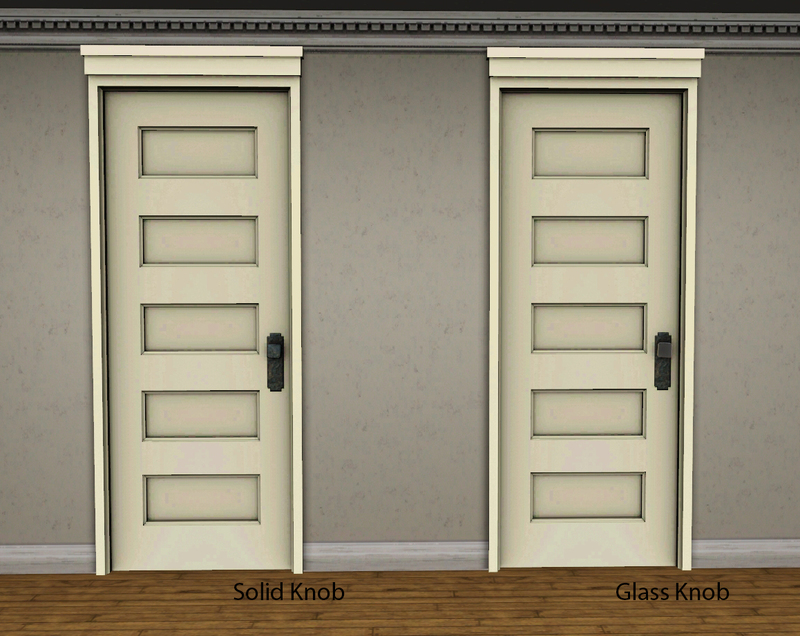 2) They have both the profiles of the solid knob and glass knob interior doors! I am well aware what you are asking for and I have already given you an answer. Let me be even clearer. 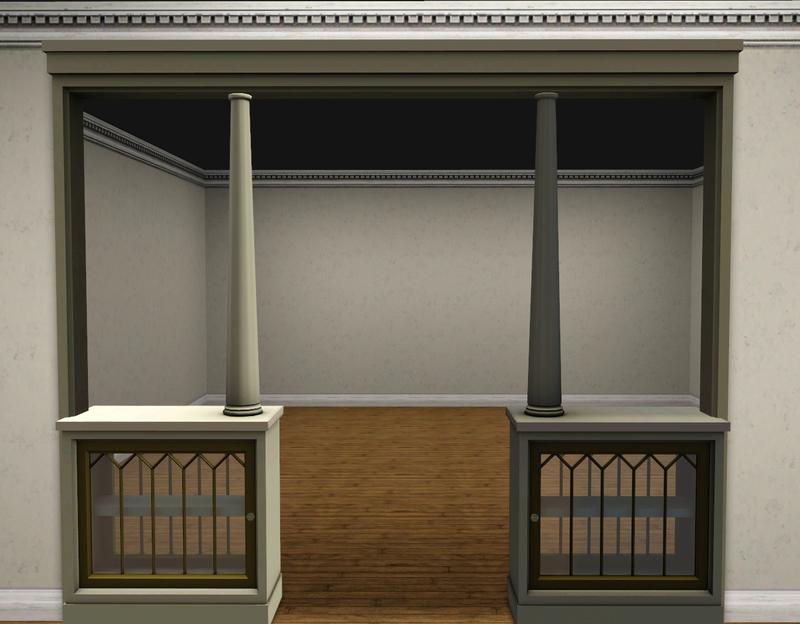 It is a miracle that I am even returning to do a part 4 for this set as it was utterly draining. When one creates, it is a burden to be tethered to one idea for an extended period. While I feel there are many new ideas that will build on this existing idea, the technical drag of creating the identical item in numerous iterations is mind numbing. 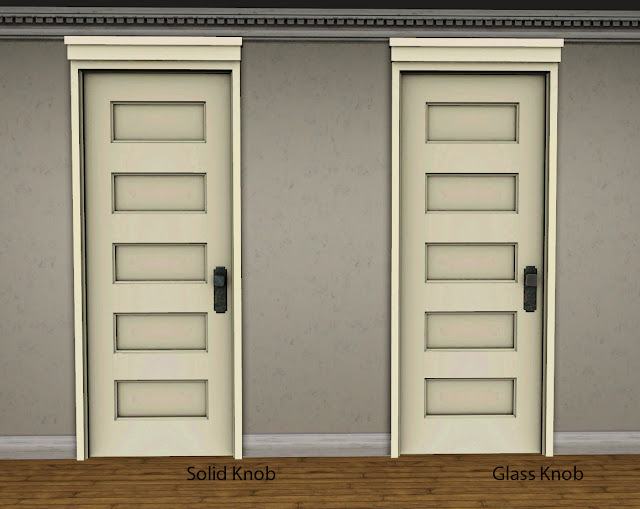 May I suggest to you what I do for every EA door and simply double up two single doors. 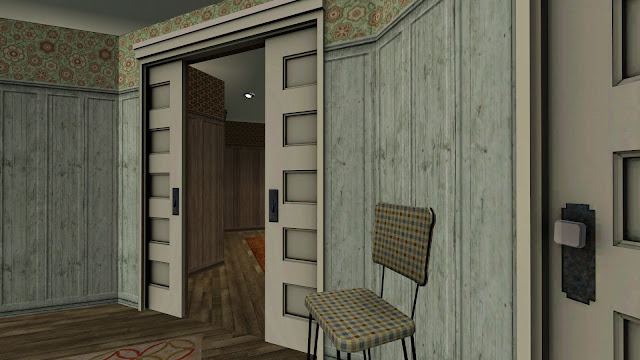 Next time you are in game observe the animation of a double door. It is identical to two single doors - each door opens independent of the other. Your sim seriously won't mind. Where I can find the patterns used in the grand hall and the living room? 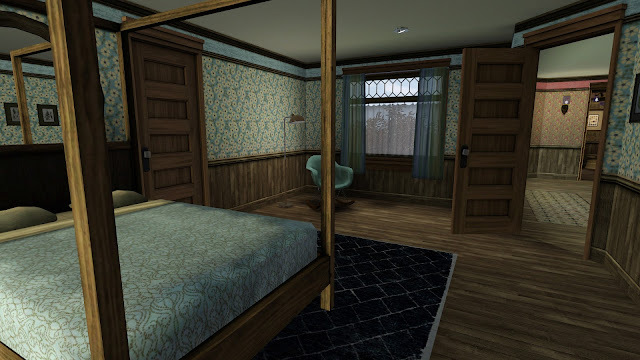 It is an inherent problem with Sims 3 - patterns are not credited in game. 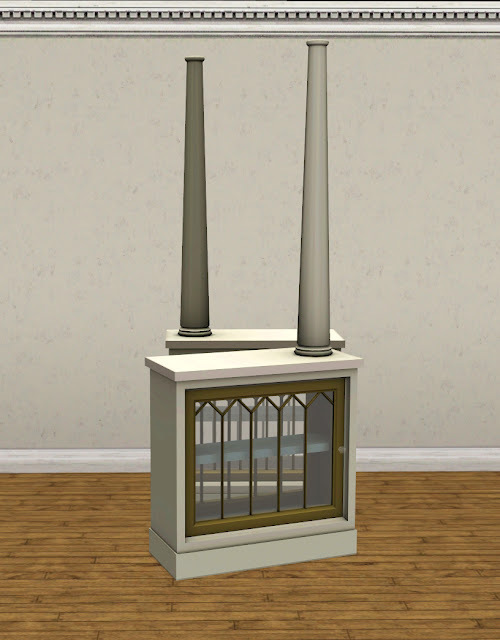 That said - they are the most powerful aspect of Sims 3. It's a shame there isn't an easier way to identify them. I remember one of the patterns comes from simcontrol.es and is part of a set called Haiku. 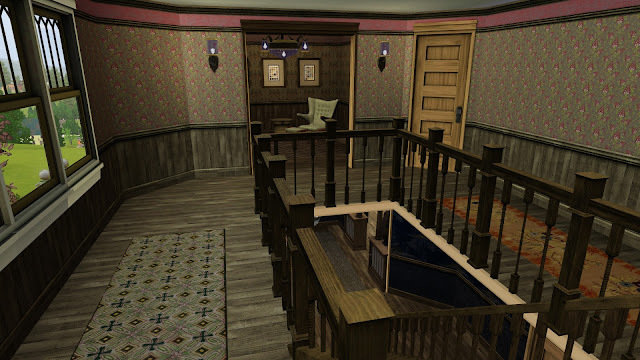 Sadly, the hall pattern - while I have found it - it not attributed to any creator. It is called Fuju Garden Pattern.